"Emma" is a novel about youthful hubris and the perils of misconstrued romance. As in her other novels, Austen explores the concerns and difficulties of genteel women living in Georgian-Regency England; she also creates a lively comedy of manners among her characters. Before she began the novel, Austen wrote, "I am going to take a heroine whom no one but myself will much like." In the first sentence she introduces the title character as "Emma Woodhouse, handsome, clever, and rich." Emma is spoiled, headstrong, and self-satisfied; she greatly overestimates her own matchmaking abilities; she is blind to the dangers of meddling in other people's lives; and her imagination and perceptions often lead her astray. "Emma" has been adapted for several films, many television programs, and a long list of stage plays. Jane Austen (1775-1817) was an English novelist whose works of romantic fiction, set among the landed gentry, earned her a place as one of the most beloved and most widely read writers in English literature. Her realism, biting irony and social commentary as well as her acclaimed plots have gained her historical importance among scholars and critics. 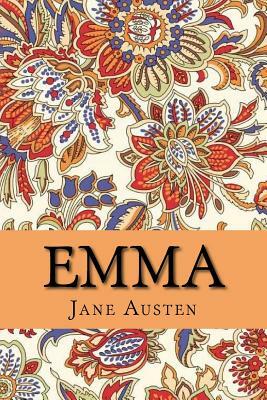 From 1811 until 1816, with the release of Sense and Sensibility (1811), Pride and Prejudice (1813), Mansfield Park (1814) and Emma (1815), she achieved success as a published writer. She wrote two additional novels, Northanger Abbey and Persuasion, both published posthumously in 1818.